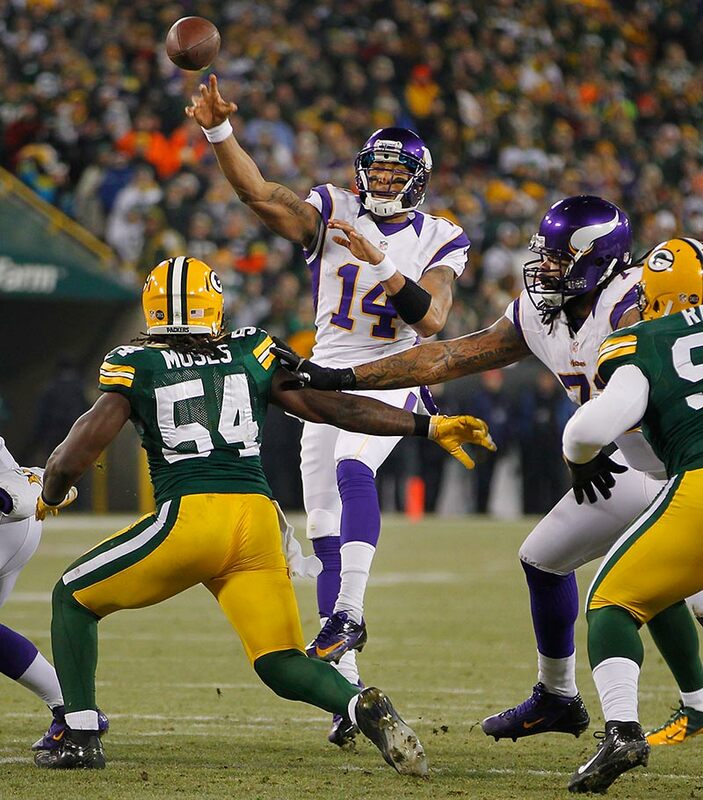 Last week, Leslie Frazier announced that Joe Webb would be making the position switch from quarterback to wide receiver. Webb, a sixth round pick out of Alabama-Birmingham in 2010, saw limited exposure to the quarterback position in three short years. He did receive time at wide receiver as a sophomore in college, hauling in 30 receptions for 459 yards and 3 touchdowns. The initial intention was for him to play wide receiver, but after a short stint at the position, the coaching staff decided to switch him back to his preferred position.Webb has the speed and quickness to play wide receiver and could be a goal line threat inside the 20 yard line. I see him as more of a possession player that could be used as a role player in short intermediate passing situations. Vikings fans have become accustomed to Webb's tremendous athleticism and fierce agility. Many would rather see him utilized as a wide receiver, rather than a backup in a limited role. After his less than stellar performance in the NFC Wild Card game in Green Bay, the decision was solidified. In a recent interview with Star Tribune's Sid Hartman, Coach Frazier made the indication that the decision was decided after the draft. “We had been talking about it for a while, and we made the decision that this was the way to go after we had our draft,” stated Frazier. Webb will have a steep battle to make the active 53 man roster, with a wide receiver group that is 12 people deep. With Greg Jennings, Jarius Wright, and recent draft pick Cordarrelle Patterson already locks for the roster, Webb will be battling nine players for 4 or 5 roster spots. The only benefit would be his position flexibility and his multi-faceted skill set. The Vikings could do without a third string quarterback and leave Webb as the emergency third string quarterback. He could also be utilized on special teams in an effort to prevent a top wide receiver from sustaining an injury. Webb will likely need to lose a few pounds to even his frame and make him more explosive. Look for him to drop 10 pounds, placing him around 210 pounds; the ideal weight for a perennial goal line wide receiver in this league. This story will be something to watch as OTA's and Training Camp progress. How will Webb respond to a move to wide receiver? Can he shift his athletic ability to a different position group? That question and many more will be answered, but Webb moving to wide receiver is certainly an intriguing move.